NOTE: This is a customized product and is not returnable. Please contact us if you have any questions regarding the suitability of this product to your application. Lead time is 3-6 Weeks after receipt of order. 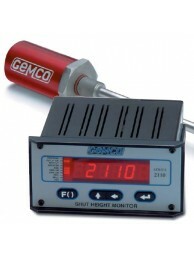 The Gemco Series 2110 Shut Height Monitor gives you a highly accurate readout of shut height as you ..